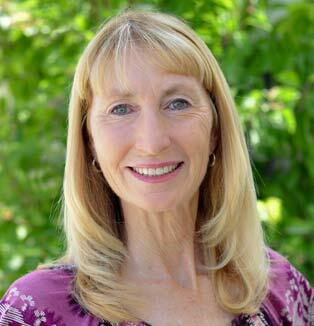 Karen Masterson Koch is a Clinical Nutritionist with over 17 years of experience counseling patients in medical clinics. Karen's internship was at the Livingston Clinic, with the world renowned Immunologist, Dr. Virginia Livingston, M.D..
Aloe Life International developed out of a dream to help make our world population healthier! "If you don't have your health - it's challenging to have anything else!" A family owned company, Aloe Life, began fourteen years ago. 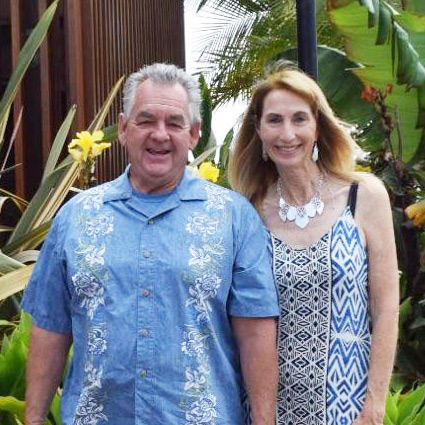 The inspiration came from two people; a clinical nutritionist researcher, Karen Masterson, and a world renowned yacht builder, entrepreneur, Terry Koch. The complement of Ms. Masterson as a health professional with twenty years of clinical experience working with medical doctors, acupuncturists, chiropractors, hospital dietetics, and her use of supplements, herbs including Aloe Vera coupled with the strong support for business sense from her husband, launched their company. To many regrets,Ms. Masterson gave up her clinic hours four years ago to dedicate time to writing about health and the great value Aloe Vera can give the public. "People need answers to health questions. Most people are very confused about what keeps people healthy including our physicians." Immunology, allergy and bowel disorders, are expertise areas that Ms. Masterson, has researched and applied the natural therapies of diet, supplements and herbs with great success. "Food is your medicine and herbs are food!" Her mentor of six years, was the famous Dr. Virginia Livingston-Wheeler, M.D., immunologist, who is known for her pioneering work in vaccine therapy and health support for cancer patients. "The most fascinating experience working at the clinic, was to see the cancerous areas of a patients body darkened on an x-ray before they began Dr. Livingston's program and then observe the progress of many patients as the cancer resolved without chemotherapy exhaustion. Some patients went into full remission and all of them lived longer and felt more like living. The body can heal itself - if it has an opportunity." says Ms. Masterson. Ms. Masterson is most well known for her contribution of eight years to the education and health maintenance of people living with HIV. She has lectured to many groups across the country, authored a self help book on how to stay healthier with HIV and even traveled across the Atlantic to meet with the public health of Norway to share her knowledge of the HIV Virus. She enjoyed speaking to 12 step audiences in half way houses and worked on several government grants for health education including programs for the Vietnam Vets Association and spoke to Navey hospital patients concerning HIV. Many of her patients have been considered long term survivors and she attributes this to their collective health practices. Because of Ms. Masterson's dedication to finding answers to health problems, she has spent the past decade, researching Aloe Vera specifically and applying her knowledge with hundreds of patients. She knows the plants limitations and also what this herbal plant can do when taken internally and applied topically. Through diligent work and keeping their vision - the dream is unfolding for Aloe Life. Aloe Life health products are based on the ancient herb Aloe Vera, other natural herbs, nutrients and emollients. Extensive research, special processing, laboratory testing and a modern Texas facility bring to the market products filled with essential life nutrients which increase energy and optimize health.